Product prices and availability are accurate as of 2019-04-19 19:06:34 UTC and are subject to change. Any price and availability information displayed on http://www.amazon.com/ at the time of purchase will apply to the purchase of this product. 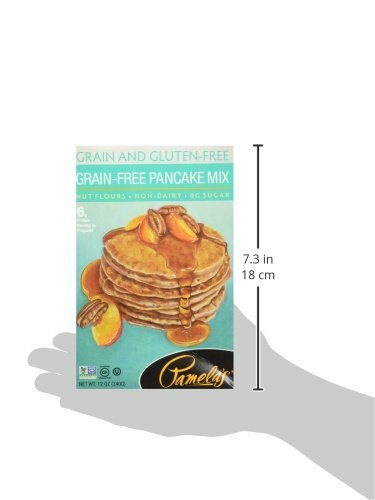 Introducing Pamela's innovative grain-free line, the perfect addition to her gluten-free baking mixes! Pamela has created a nut blend unique to the market that includes the top alternative flours Almond Meal and Coconut Flour, but adds Pecan and Walnut flours to add superior flavor, performance, and nutrition. Our Grain-Free Pancakes have a unique, naturally sweet taste and texture. 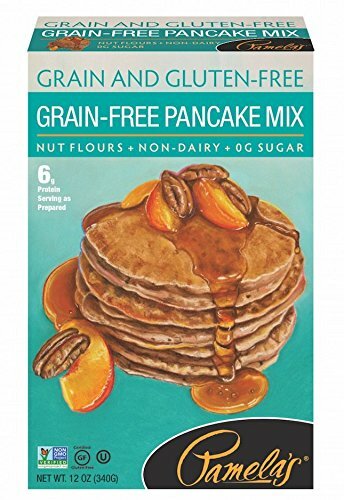 A remarkable new direction for your breakfast - pancakes made with nuts! Made with premium ingredients free of corn syrup, hydrogenated oils, trans fats, artificial flavors or additives. Certified Gluten-Free by GFCO and made in a dedicated gluten-free factory.